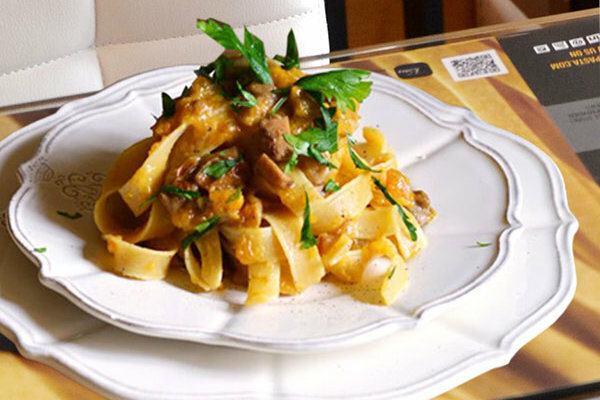 There are places where Filotea Pasta has become pure enjoyment: a blackboard with a lot of suggestions to taste, in a Store-Restaurant where all the five senses are involved. 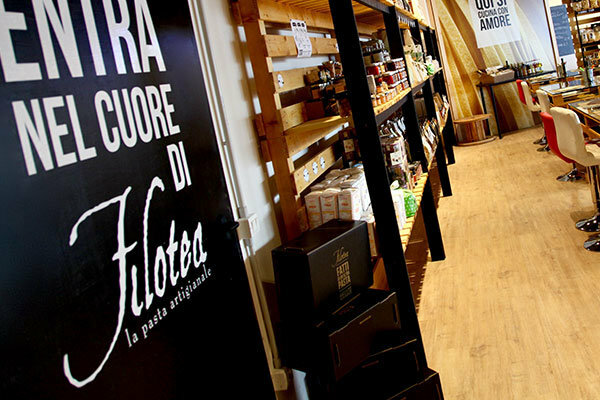 The “Filotea Pasta Experience Store” is a concept developed within the premises of the factory. It is a manifestation of the desire of surrounding ourselves with great products that are delights for the eye and the palate. We see it as a place where every one can find an original detail to observe, an inviting aroma to smell and a pleasant flavour to taste. In any moment of the day, it is possible to choose a delicious Filotea pasta, matching it with one of many gourmet sauces, specifically conceived by our Chefs. Not only a shop and more than a restaurant, the Pasta Experience Store is an innovative format that makes tasting and purchasing our pasta in the same place possible. The Pasta Experience Store is a versatile space, that can also host and value various events, either for business or entertainment, such as workshops, cookery classes, food and wine tastings, live music and cultural exhibitions.